The Gulf Coast includes charts of Florida, Georgia, Alabama, Mississippi, Louisiana, Texas, most of the Eastern US seaboard, Mexico, Puerto Rico, Cuba and the Virgin Islands. NOAA Chart 11301. Nautical Chart of Southern part of Laguna Madre - Gulf of Mexico. NOAA charts portray water depths, coastlines, dangers, aids to navigation, landmarks, bottom characteristics and other features, as well as regulatory, tide, and other information. They contain all critical corrections published in notices to mariners since the last new edition of the chart was released, as well as any newly compiled routine changes. NOAA Chart 11300. Nautical Chart of Galveston to Rio Grande - Gulf of Mexico. NOAA charts portray water depths, coastlines, dangers, aids to navigation, landmarks, bottom characteristics and other features, as well as regulatory, tide, and other information. They contain all critical corrections published in notices to mariners since the last new edition of the chart was released, as well as any newly compiled routine changes. NOAA Chart 11302. Nautical Chart of Intracoastal Waterway Stover Point to Port Brownsville, including Brazos Santiago Pass - Gulf of Mexico. NOAA charts portray water depths, coastlines, dangers, aids to navigation, landmarks, bottom characteristics and other features, as well as regulatory, tide, and other information. They contain all critical corrections published in notices to mariners since the last new edition of the chart was released, as well as any newly compiled routine changes. NOAA Chart 11303. Nautical Chart of Intracoastal Waterway Laguna Madre - Chubby Island to Stover Point, including The Arroyo Colorado - Gulf of Mexico. NOAA charts portray water depths, coastlines, dangers, aids to navigation, landmarks, bottom characteristics and other features, as well as regulatory, tide, and other information. They contain all critical corrections published in notices to mariners since the last new edition of the chart was released, as well as any newly compiled routine changes. NOAA Chart 11304. Nautical Chart of Northern part of Laguna Madre - Gulf of Mexico. NOAA charts portray water depths, coastlines, dangers, aids to navigation, landmarks, bottom characteristics and other features, as well as regulatory, tide, and other information. They contain all critical corrections published in notices to mariners since the last new edition of the chart was released, as well as any newly compiled routine changes. NOAA Chart 11306. Nautical Chart of Intracoastal Waterway Laguna Madre Middle Ground to Chubby Island - Gulf of Mexico. NOAA charts portray water depths, coastlines, dangers, aids to navigation, landmarks, bottom characteristics and other features, as well as regulatory, tide, and other information. They contain all critical corrections published in notices to mariners since the last new edition of the chart was released, as well as any newly compiled routine changes. NOAA Chart 11307. Nautical Chart of Aransas Pass to Baffin Bay - Gulf of Mexico. NOAA charts portray water depths, coastlines, dangers, aids to navigation, landmarks, bottom characteristics and other features, as well as regulatory, tide, and other information. They contain all critical corrections published in notices to mariners since the last new edition of the chart was released, as well as any newly compiled routine changes. NOAA Chart 11308. Nautical Chart of Intracoastal Waterway Redfish Bay to Middle Ground - Gulf of Mexico. 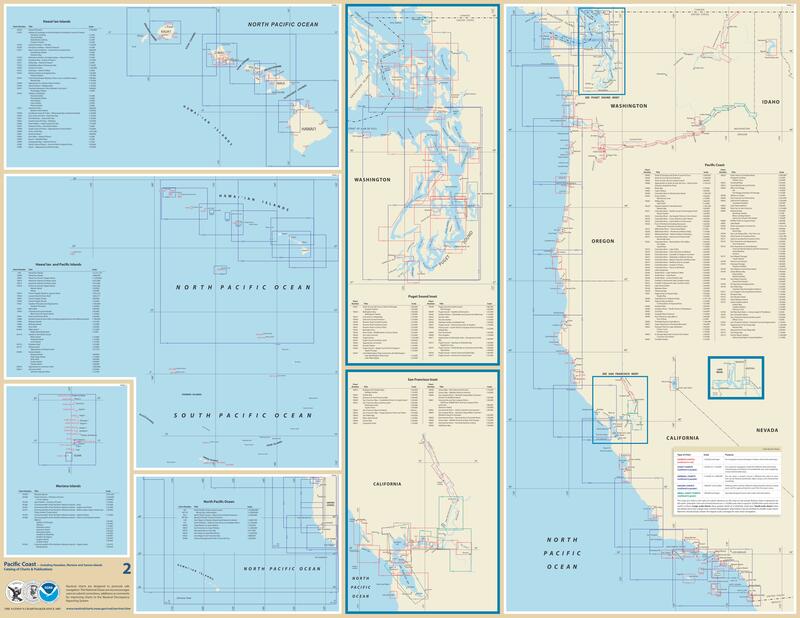 NOAA charts portray water depths, coastlines, dangers, aids to navigation, landmarks, bottom characteristics and other features, as well as regulatory, tide, and other information. They contain all critical corrections published in notices to mariners since the last new edition of the chart was released, as well as any newly compiled routine changes. NOAA Chart 11309. Nautical Chart of Corpus Christi Bay - Gulf of Mexico. NOAA charts portray water depths, coastlines, dangers, aids to navigation, landmarks, bottom characteristics and other features, as well as regulatory, tide, and other information. They contain all critical corrections published in notices to mariners since the last new edition of the chart was released, as well as any newly compiled routine changes. NOAA Chart 11311. Nautical Chart of Corpus Christi Harbor - Gulf of Mexico. NOAA charts portray water depths, coastlines, dangers, aids to navigation, landmarks, bottom characteristics and other features, as well as regulatory, tide, and other information. They contain all critical corrections published in notices to mariners since the last new edition of the chart was released, as well as any newly compiled routine changes.